Drawing readers from over 100 countries. On this anniversary I thought I would take the opportunity to reflect upon the last twelve months of Stonetree. While Stonetree has more than doubled its traffic in the last twelve months, more important has been the opportunities for learning, sharing networking and most of all the advocacy of harm reduction. 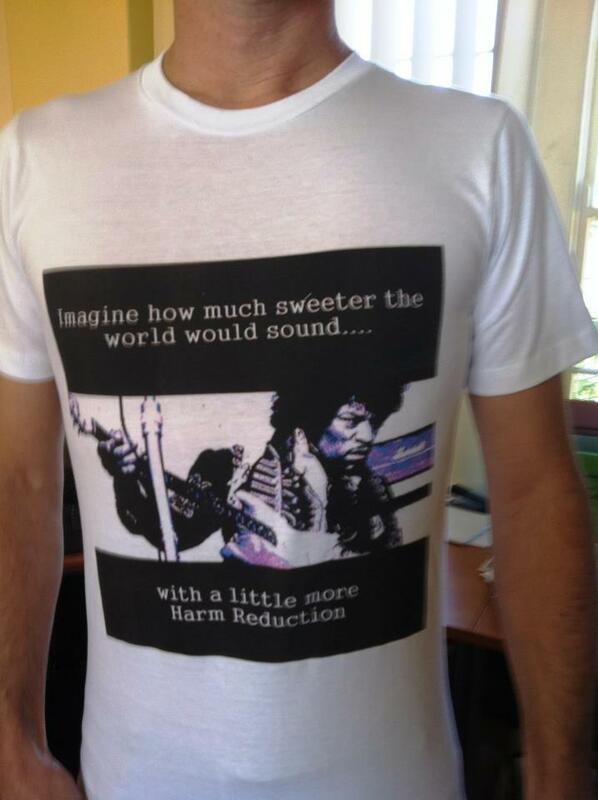 Shortly after the first anniversary of the Stonetree blog I released the Hendrix T-shirt with the catch phrase; “Imagine how much sweeter the world would sound…with a little more harm reduction”. I didn’t know it at the time, but while I went on to sell very few t-shirts (a grand total of three and I bought two out of that total), the catchphrase and image would become central to the new look to the website when I redeveloped it in February 2012. Personally I tend to believe that the latter is more likely. Either way it appears that even some of the most seemingly inconsequential communications via social networks can have a larger impact than I expected. I wrote in the article marking the first twelve months of Stonetree, that the original motivation behind the blog was learning. Stonetree began essentially as an experiment, and while I think it has evolved beyond that, I still like to explore the strengths and limitations of using social media to support harm reduction practice and learning. In March I launched a couple of experiments on Stonetree. The first was the short lived Harm Reduction Social Media #HRSM chat on Twitter. 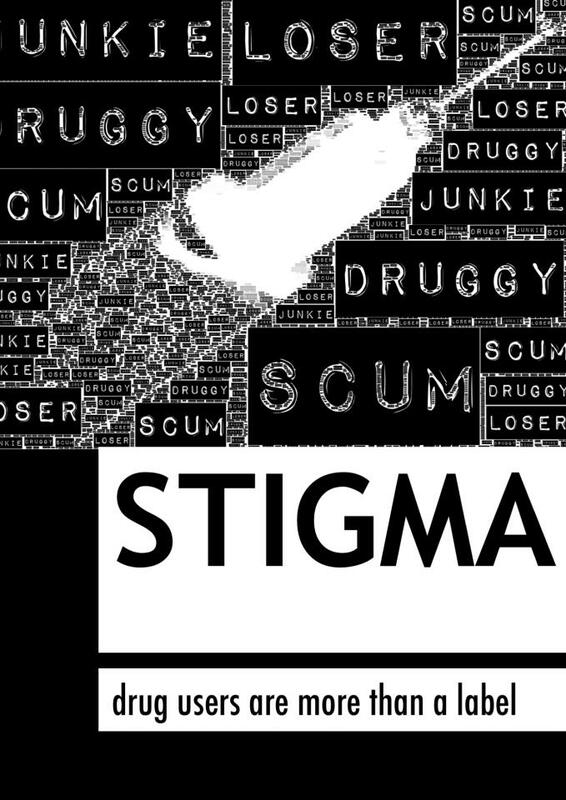 The idea behind #HRSM was to form a community of like minded people on Twitter to share their knowledge and experience of social media and harm reduction, a collaborative learning space if you like. You can check out some of the archives from these efforts here. The short lifespan of #HRSM was primarily due to my time constraints at the time, but it is an idea that I’m keen to resurrect in the future. I should also acknowledge the regulars that contributed to the great conversations and learning including @polydruguser, @mollysnuffy, @injectingadvice, @zannie101 and @VAADENEWS. The second experiment was the Harm Reduction Media Arts Project (#HRMAP). Despite many people’s perceptions, I’m not particularly ‘techy’. I have however become convinced that with the advent of both Web 2.0 (sometimes referred to as the Read/Write Web) and the development of a range of simple to use tools and apps that, now more than ever the means of media production is in the hands of the masses rather than media barons. It was with this in mind that I challenged readers to create and post media, that promoted harm reduction practices. I then republished the media on Stonetree along with the accompanying description about how the media was created. You can check out some of the creations here. Again I need to give a big shout out to @injectingadvice, @INEF and @El_Pichichi88 who have all contributed media to this project. A big thanks is also due to all the supporters of Stonetree who have since ‘shared’, ‘liked,’ ‘retweeted’ or ‘pressed’ the artworks to share it with an even wider audience. June marked the 100th blog post, not a goal I’d really envisioned 2 years prior. I marked the occasion by recommending a range of alcohol and other drugs bloggers whose work I admired. You can check them out here. Little did I know however that some of the best learning was yet to come. At the end of August I took part in what has become an annual event; the International Overdose Awareness Day Tweet up (this year the hash tag was #OD12). I look forward to this event as a time when harm reduction people from across the world share their experience, knowledge and passion, challenging the stigma that people who use drugs experience, while at the same time sharing learning and information that can be useful in preventing overdose. Perhaps the greatest highlight of the last twelve months however was the acceptance of an abstract submitted to the HIT Hot Topics Conference in Liverpool. The abstract was submitted in my capacity as an AOD educator in my day job with UnitingCare ReGen. While representing my employer, travel to the UK also afforded me other opportunities. Stonetree’s largest audience outside of Australia is in the UK. 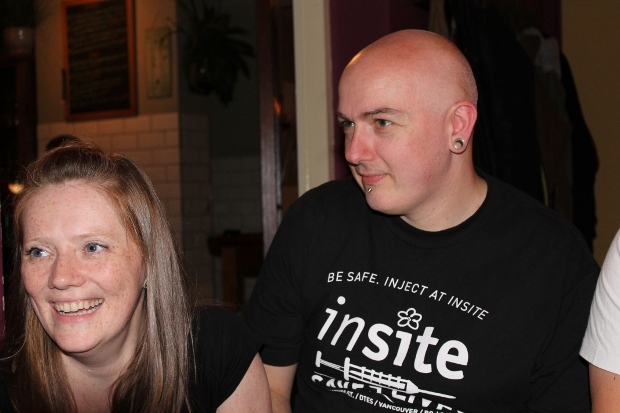 For the last two years I have chatted via Twitter with many supporters of Harm Reduction in the UK who have offered support, advice and feedback about the blog. The opportunity to present at Hot Topics also provided the opportunity to meet face to face for the first time many of these people, and to continue sharing both our knowledge and passion. I have to say that attending both the first Harm Reduction Cafe and then the conference the following day vindicated for me my position on social media as a tool for bringing like minded people together. Meeting with many of the UK harm reduction advocates was like meeting with old friends, picking up old conversations previously visited on Twitter and Facebook and commencing new ones that have since been continued on Twitter and Facebook upon my return to Australia. Apart from the conference I also met individually with a number of workers both in London and Liverpool. Tim Bingham (@INEF) generously spent several hours with me discussing harm reduction, and illicit drug markets. You can check out the INEF website here. Russel also provides training on a range of alcohol and other drugs related topics. You can check out his training programs on the 3D Research website. While in London I had the opportunity to meet with Suzanne Long from the Southwark Community DAAT who spent time explaining some of the intricacies of alcohol and other drugs treatment services in the UK. This meeting was also facilitated via Twitter as Suzanne and I have been swapping tweets for quite a while. It was great to finally meet her. Thanks Suzanne for taking the time to answer my seemingly unordered and wandering questions. While in London I also met with Dr Adam Winstock. Adam leads two very innovative initiatives, the Global Drug Survey and the DrugsMeter website/app. Adam like everyone else I met on my travels was generous with his time and knowledge. It was during these conversations that I agreed to join the Expert Advisory group that provides support to the DrugsMeter project. I was very honoured to be asked as I truly believe that this project provides an innovative way to engage people who use drugs without pushing a particular viewpoint. It’s a great way of comparing your drug use to others in your area while also finding out more about the drugs that you use if you so wish. Thanks Adam for inviting me to join this exciting project. I have covered many of the highlights in what has been a very exciting year. These endeavours however do not occur in a vacuum. There are many people who have contributed a great deal to the ongoing development of this blog (whether they know it or not). Big thanks to Nigel Brunsdon, Ray Stephens, Monica Barratt, Cal Bowen, Ventia Brissenden, Paul Aiken and Russell Webster. While you may not know it your feedback, constructive criticism and support have all added something to Stonetree. Pat, Maddie and Lucy O’Hare (and of course again Nigel Brunsdon) from HIT, thank you for accepting my abstract for the conference, but even more for being generous and welcome hosts while we stayed in Liverpool. While Stonetree is a project that is totally independent of my day job (see the disclaimer section), I do need to thank ReGen for supporting my trip to the UK and facilitating some fantastic learning opportunities that do not come along everyday. The short answer is I really don’t know. I do know that Stonetree will continue to advocate for harm reduction. Now more than ever, as the Victorian Alcohol and other Drugs sector faces great change and a period of uncertainty, voices that advocate harm reduction need to be heard. I also want to continue to experiment with different vehicles that have the potential to support learning in the sector, but most of all I want to continue to meet with and talk to the passionate people who believe that adequate health care is a human right that should be afforded to all people regardless of what drugs they may or may not use. After all wouldn’t the world sound sweeter with a little more harm reduction? Great Post mate and congratulations on the 2 years. While i haven’t been very vocal i have been following since i first heard of it and am inspired to try something similar, but always wonder if i’d be competing with something i’d prefer to lend my support to, but who knows. Fantastic blog that i regularly send people to. Hopefully i may see you in Melbourne in November if you’ll be at APSAD. Hey thanks for your kind words Sam. My thoughts on others starting blogs about harm reduction and alcohol and other drugs stigma in our community is go for it! I don’t see it as competing but instead as a potential for alliance and coalition building. One of the highlights of going to the UK was being able to speak face to face with other harm reductionists such as Nigel Brunsdon, who do have a fairly significant online presence, continuing the sharing of knoweldge, discussion and debate that already had been occuring online. As to APSAD I am indeed going and would love to catch up! I am recent convert to all things social media and I find your posts lead to many interesting information trails. Keep up the great work. Social media can indeed be a useful tool in learning and discovering new resources. Also just want take this opportunity to say that the MSIC does amazing work in often difficult circumstances and is a great example of harm reduction in Australia. You set a high standard for online activism in the sector. Thanks Jock, high praise indeed.